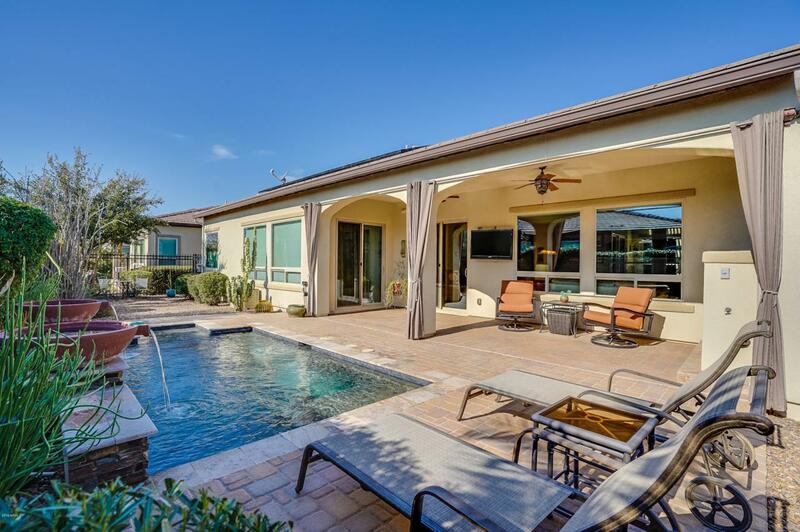 Owners pride shows everywhere in this popular Tarragona plan with heated pool at Encanterra. This gorgeous home is located on a premium homesite for added privacy. As a bonus it even offers a PRE-PAID Solar System that averages a $20.00 a month electric bill. The upgrades in this home are endless and it looks and feels like model home. The spacious kitchen is well appointed with stainless steel appliances, beautiful tile backsplash and plenty of countertop space to entertain. 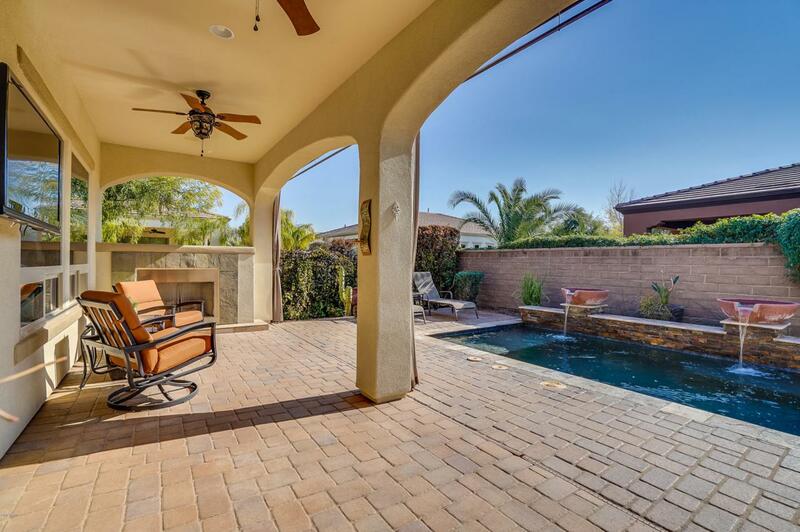 Enjoy a cup of coffee or glass of wine on the side patio just off the kitchen. Pergola shade structure and mature trees will surround you. 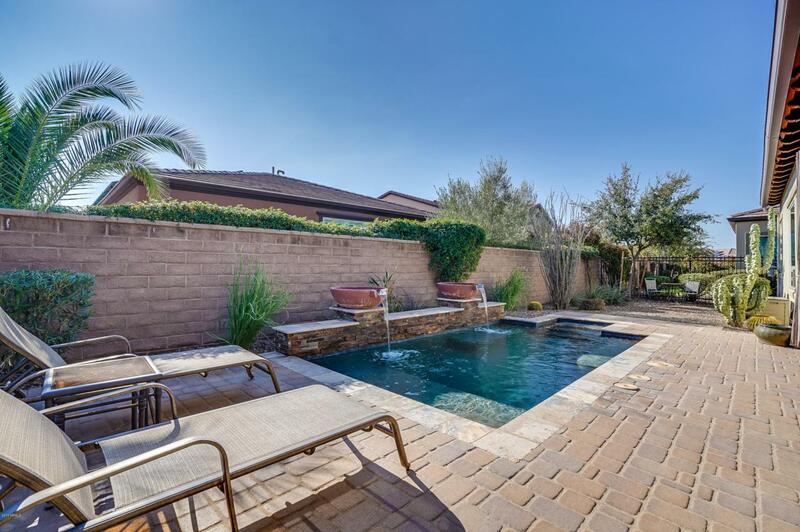 Step out back to a beautiful pool and cozy up by the gas fireplace. The home also offers a 3 car garage with built in cabinets & epoxy finish. Start enjoying the Encanterra today!